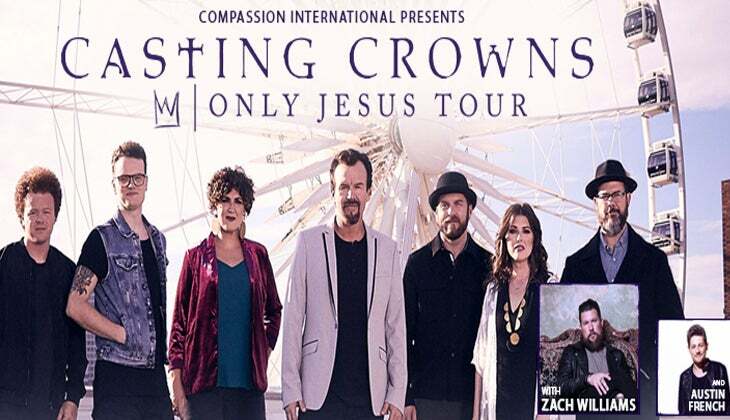 Presented by Compassion International, the Only Jesus Tour will support Casting Crowns’ brand new studio album, Only Jesus, releasing this Friday. Over the past few weeks leading up to the street date, the band has released six of the album’s tracks early, including the title cut and first radio single, “Only Jesus,” which is one of the fastest charting songs of 2018 and already a Top 10 smash. “Only Jesus” gives Casting Crowns their 26th Top 10 song on the Hot Christian Songs chart, the most by any group. Standard Policy will be in effect for this event. No Professional, No Audio, No Video, No Detachable Lenses. As additional information becomes available, it will be posted here with any specific requirements for the event.